Well hello there. 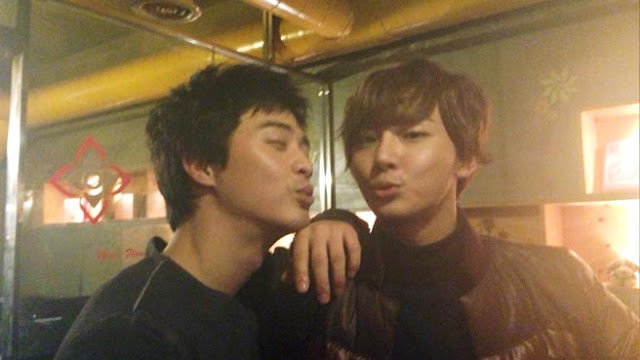 Looks like the boys of Flower Boy Next Door are up to both shenanigans and monkey shines. 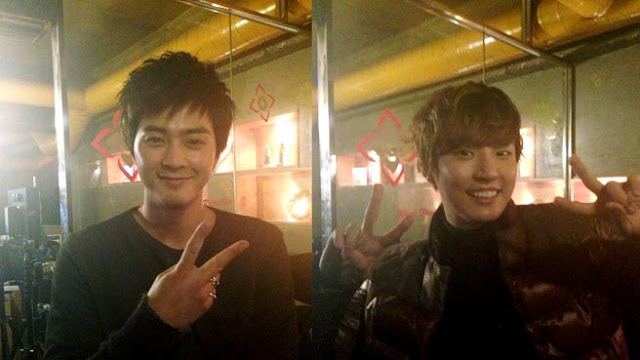 Word is from the set, if the drama reaches 5%, Yoon Shi Yoon and Kim Ji Hoon promise to kiss. Now stars promising fans special surprises if their current projects are successful, but this is the first male leads kiss–at least the first that I know of! Now 5% used to be huge, almost unthinkable for a cable networks where topping 2% is a good solid show, however, cable shows are bringing great numbers lately. Not to mention My Flower Boy Neighbor with just its second episode, reached 1.05. I think this show is going to make it to 5% with no problem. So break out the lip-balm boys! Seriously, who do you think came up with this? Who seems like the biggest jokester of the two? I think this cast has got to be having a great time with each other.